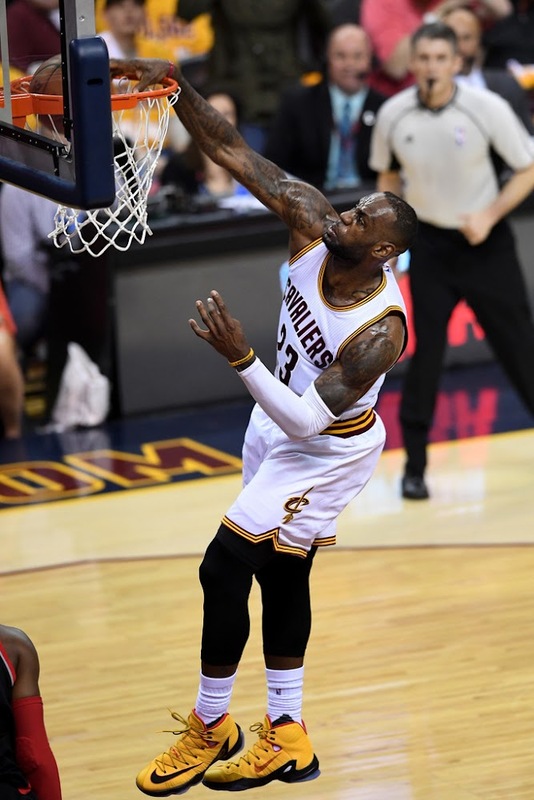 LeBron James and Kyrie Irving were unstoppable getting to the rim and led the way the Cavs 115-84 in Game 1 at raucous Quicken Loans Arena. 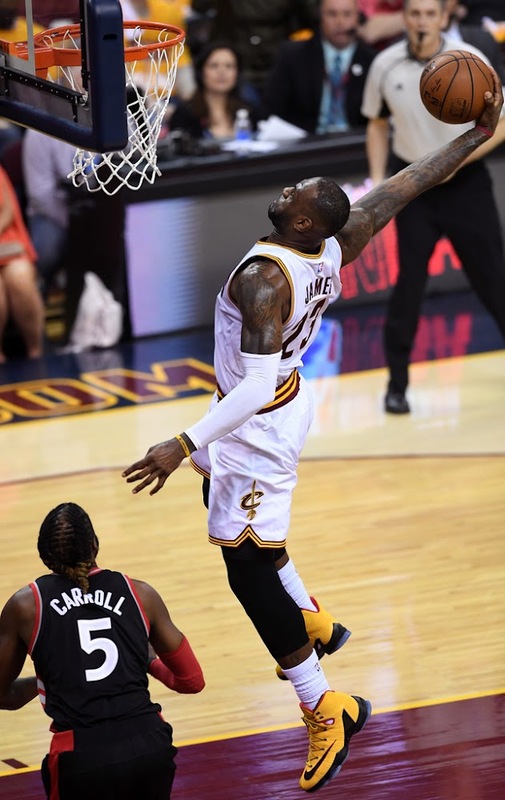 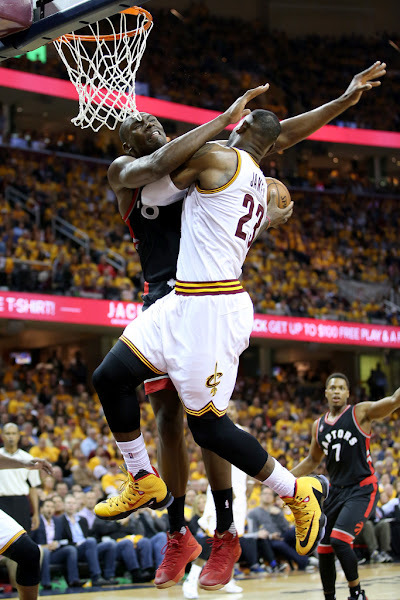 It was the largest margin of victory for Cleveland in a playoff game, as Toronto dropped to an NBA-worst 1-10 in postseason Game 1s. 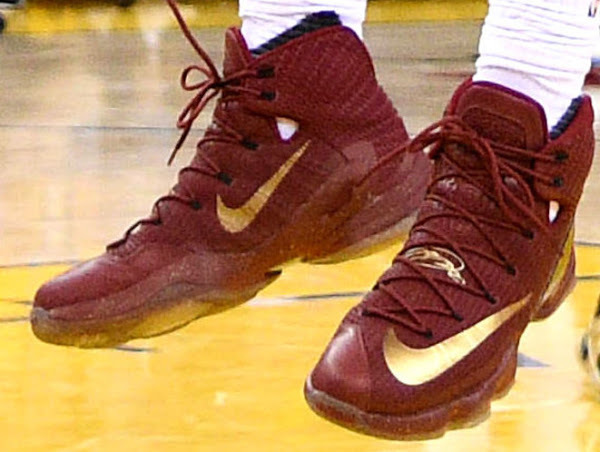 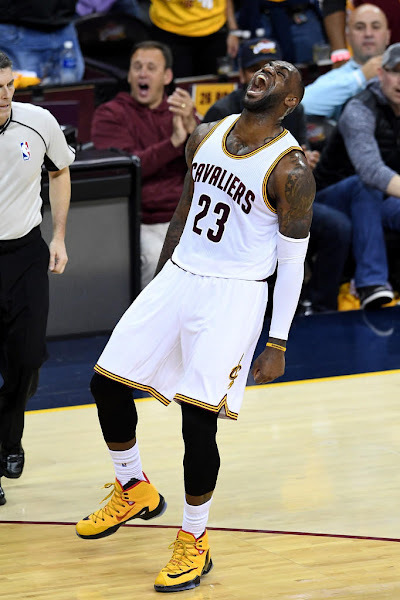 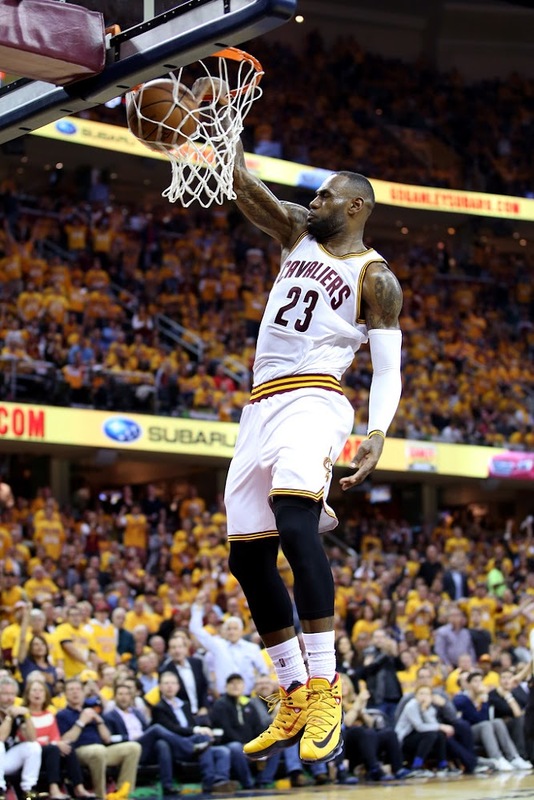 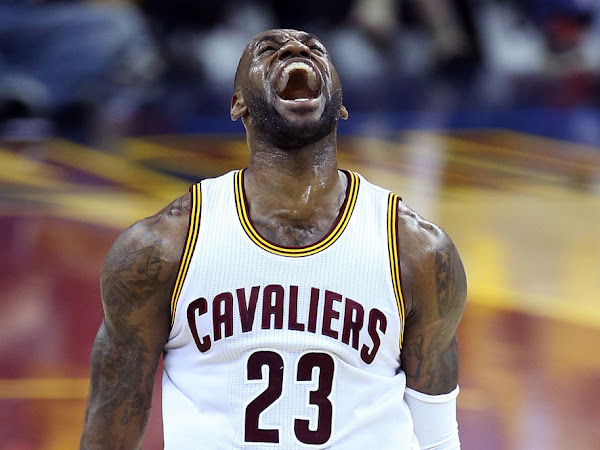 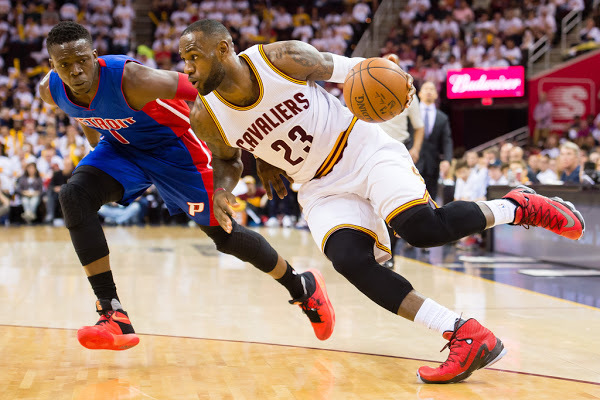 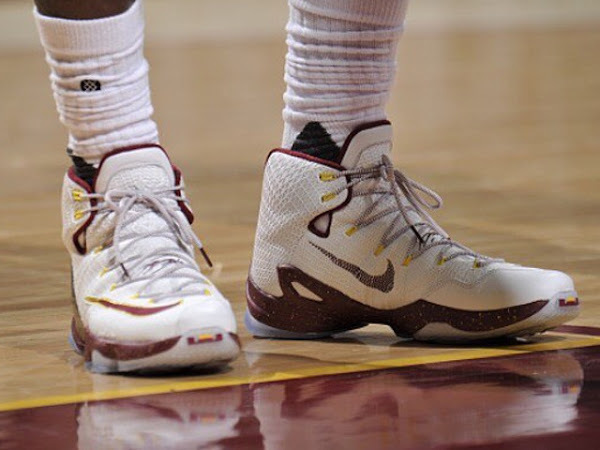 King James finished with 24 points, 6 rebounds and 4 assists in 28 minutes of action. 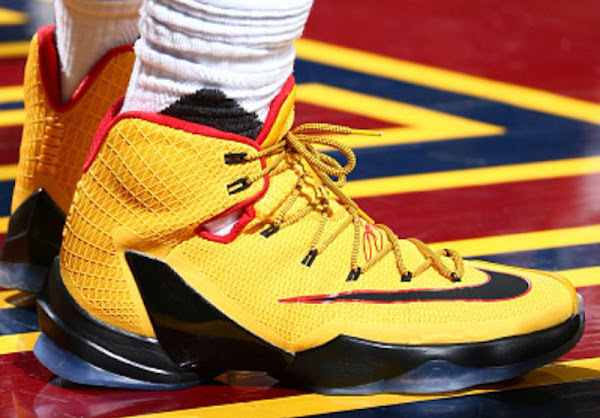 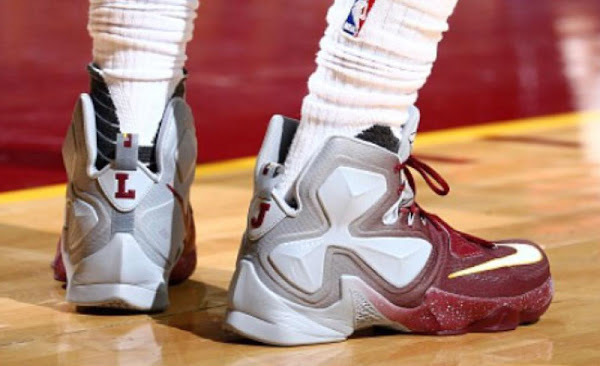 He debuted an all-new Nike LeBron 13 Elite PE implementing the popular Taxi look styled in yellow with black and red accents. 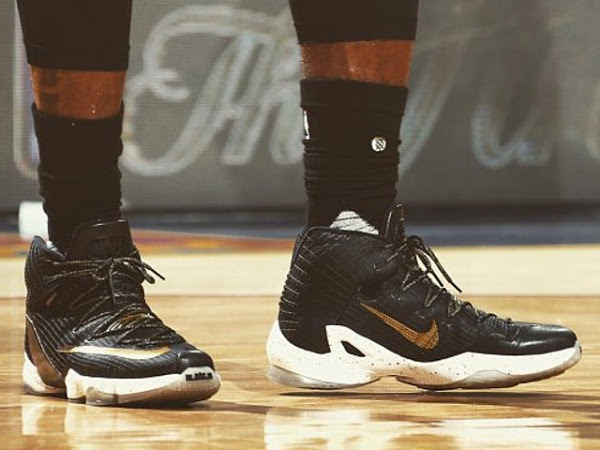 It’s his 6th different colorway this Post-season and it’s likely to remain a Player Exclusive.